Over the last couple of month's Marvel have been hosting an online animated web-comic, entitled, 'Black Panther: A Nation Under Our Feet'. This ongoing Youtube series will do it's utmost to showcase this year's breakout urban avenger on a monthly basis, and continue to link the world of comic books and hip-hop together, hand in claw, fist to mouth, and brother to sister. 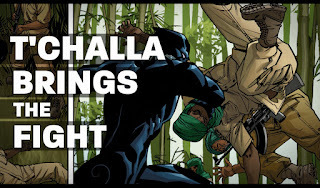 This series has also been cleverly designed to present the world of the Black Panther to a whole new audience, offering fans and newbies alike a monthly recap of the best-selling comic book prior to the latest issue being released. 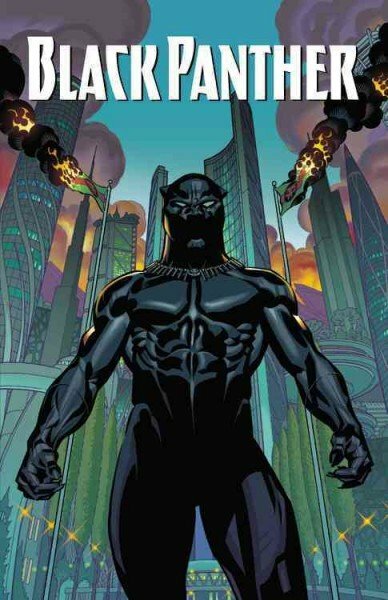 Written by The National Book Award winner, Ta-Nehisi Coates, and illustrated by the amazing Brian Stelfreeze, this story evolves around Black Panther confronting a superhuman terrorist group, called The People, whom spark a violent uprising in his technologically advanced nation, Wakanda. But, for him to do so, he must be able to adapt to the situation and survive the change! Continuing the excitement surrounding Marvel’s celebrated Super Hero, the Black Panther, also known as T’Challa, episode three of the multi-artist hip-hop-inspired video series samples a brand new track, 'What You Came For', written by Jean Grae. 'Do I want to submit a brand new song for Marvel's Black Panther collaborative video series? ', exclaimed Jean Grae, 'Are you kidding me? Of course I do. It's probably one of the most exciting requests I've ever gotten. For a start, collaborating with Marvel on anything is a dream filled with unicorns. And on top of that, it involves Black friggin' Panther, Ta-Nehisi is writing it, and everything about where we are as a people right now is there in the story'. 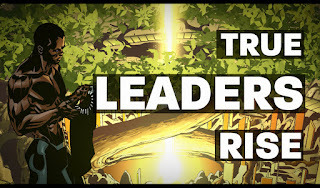 So far this new video series has reached global proportions and will further emphasize how Marvel is the premiere name when it comes to story-telling, diverse character development, and now, musical integration. Black Panther is currently available digitally online and at all local comic book retailers. To find a comic shop near you, visit www.comicshoplocator.com.